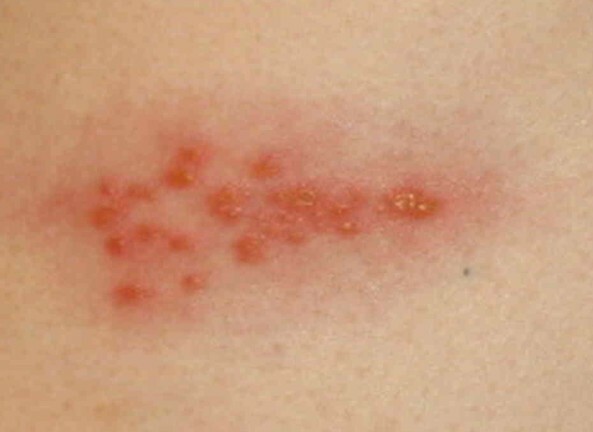 Shingles is known for its painful and blistering rash on skin, but it is possible to experience shingles with no rash present, known as zoster sine herpete. The varicella-zoster virus causes both chickenpox and shingles. After a patient goes through chickenpox, this virus will lie dormant in the nerve tissue around the spinal cord and brain. As the patient ages the chances of this virus resurfacing as shingles increases. Shingles will result in a very aching rash to arise on the skin. The rash can emerge anywhere on the body, however, most often appears on one side of the torso. In some cases, a person can experience what is known as a zoster sine herpete (ZSH), in which case, rash never appears. Shingles is a disease caused by the presence of the varicella-zoster virus in the tissue of the nervous system. This virus enters the body when a patient catches chickenpox. It remains inactive in the tissue for years before resurfacing as the shingles disease. Doctors are unsure what causes the disease to become active again, though it appears that adults with weak immune systems are more prone to these outbreaks than others. As the varicella-zoster virus becomes active again it will travel through the nerve pathways to the skin, which causes a sore skin reaction. Anyone that has suffered from chickenpox can develop a shingles outbreak later in life. The likelihood of individuals in the United States developing either disease is diminishing due to the widespread use of vaccinations against the virus. However, there are still risk factors that increase the risk that you may suffer a shingles outbreak. Diseases that weaken your immune system such as cancer, HIV/AIDS can increase the risk that patients will suffer a shingles outbreak. Because cancer treatments will significantly weaken the immune system, those that have gone through chemotherapy or radiation are also at a higher risk for developing singles. Any other medications that suppress the immune system such as those given to patients going through an organ transplant will have similar effects. The risk of developing shingles also becomes greater as people age. People over the age of 50 are significantly more likely to develop shingles than any other age group. It is estimated that about half the people who live to age 85 will experience shingles at least once. Shingles is a very painful disease. This pain is typically described as a deep boring or stabbing sensation that is very severe. Because of the impact on the nervous system this pain may have an electric feel to it. In many cases pain will only affect one side of the body and will be localized to a specific area of the skin, though the disease can affect as many as three spinal nerves at a time. As the disease affects the skin, patients may experience a prickling, itching, or numbness on the skin as well. Patients will often develop flu-like symptoms just before the skin lesions appear. This can include body or muscle aches, headaches, mild fever, a general feeling of illness or poor appetite. These symptoms can last as long as 7-10 days. It is important to note that unlike a cold, patients will not develop a runny nose or cough when suffering from shingles. If the shingles virus is affecting nerves that help to control motor function it can cause the patient to suffer from difficulty moving properly. You may notice weakness in the arm, leg or abdomen on one side of the body. In some cases this can affect the diaphragm, making it difficult to breathe properly. Some patients also notice difficulty moving one side of the face, including difficulty moving or focusing with one eye. Complications from shingles can be very severe, particularly if the outbreak goes untreated. Postherpetic Neuralgia-This condition is caused when the nerve fibers become confused after their interaction with the shingles virus. Postherpetic neuralgia will cause the nerves to send exaggerated feelings of pain from the skin to the brain, even after the shingles outbreak has healed. Neurological Problems-Nerves can become permanently damaged after suffering from a shingles outbreak. Facial paralysis, hearing problems, balance problems or inflammation of the brain are all possible side effects. Vision Loss-If a shingles outbreak occurs around the eye it can cause a severe infection. This may cause vision damage or permanent vision loss. If you note that you are suffering from symptoms typically associated with shingles but without any rash it is important to tell your doctor right away. 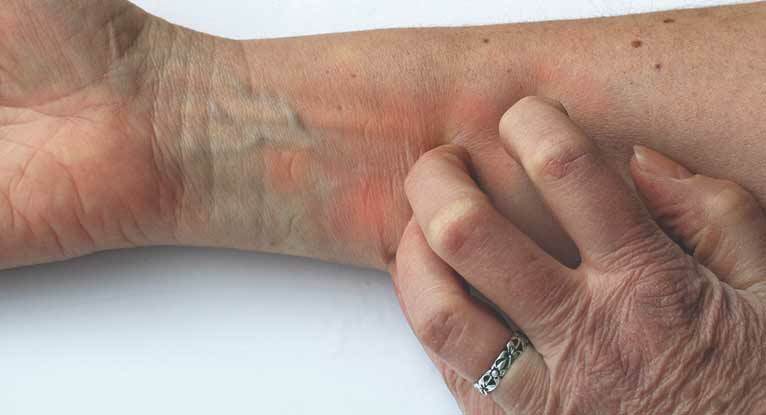 While you may not develop a rash, patients will still feel the tingling, burning sensation associated with the virus moving from the nerves to the skin. This sensation will typically only be on one side of the body. If you have had the chickenpox virus you will need to talk with your doctor to confirm your diagnosis. Because there are no blisters to check, your doctor may perform a blood test to check for the shingles virus. This will also help them rule out other conditions that cause similar symptoms. Once it is determined that you are suffering a shingles outbreak, your doctor will determine what level of care is appropriate. Many patients can be treated with medications like Valacyclovir or Acyclovir and home remedies such as cool baths and cool/wet compresses. In severe cases patients may need to stay in the hospital for treatment.